This is a high quality POS touchscreen terminal solution perfect for business owners to buy all their POS equipment at a great price. These bundles have quality equipment that is retail hardened to tackle the most demanding tasks in all conditions. 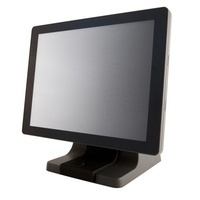 Our POS Supply Platinum Touch Terminal Bundles are in stock and ready to ship today. - Auto Cutter, USB Interface, Dark Gray.